Skydish is a revolutionary soap dish product that keeps bar soap dry. It is made up from 100% stain resistant silicone, non stick and easy to clean. 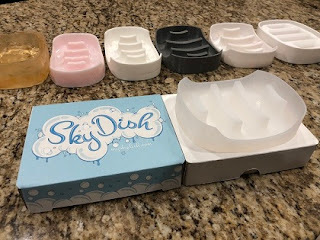 If you are looking for durable and long lasting soap dish that is multi-purpose for bathroom, kitchen and showers then this is the product for you. It is good for kitchen sponges too! Below are some great features of a SkyDish. Get It at FREE shipping!! How to Deal with Employment Agencies?